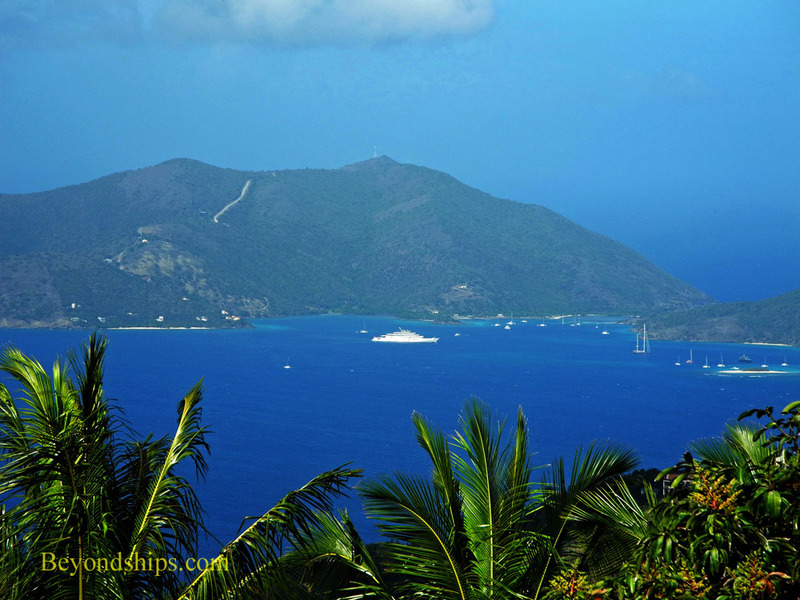 Tortola is quite mountainous. 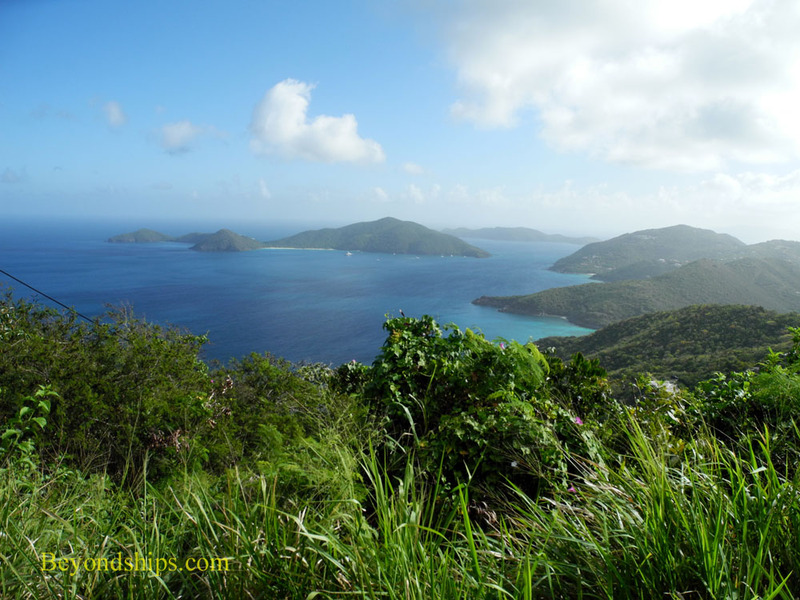 Therefore, one of the island's attractions is to go up to the top of the mountains where, on a clear day, you have panoramic views not only of Tortola and the neighboring British Virgin Islands but of the U.S. Virgin Islands as well. 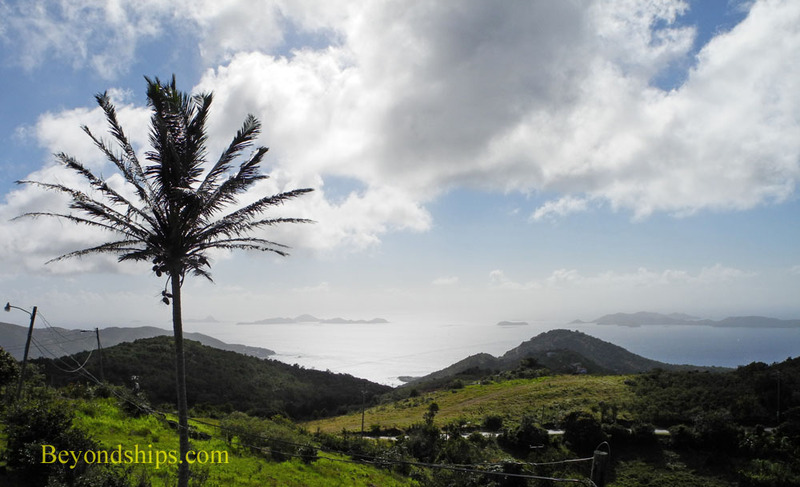 Shore excursion tours often take visitors along Ridge Road, which winds along the peaks that make up the island's spine. The road is narrow, the inclines steep and the turns sharp. At one point along Ridge Road there is a retaining wall. 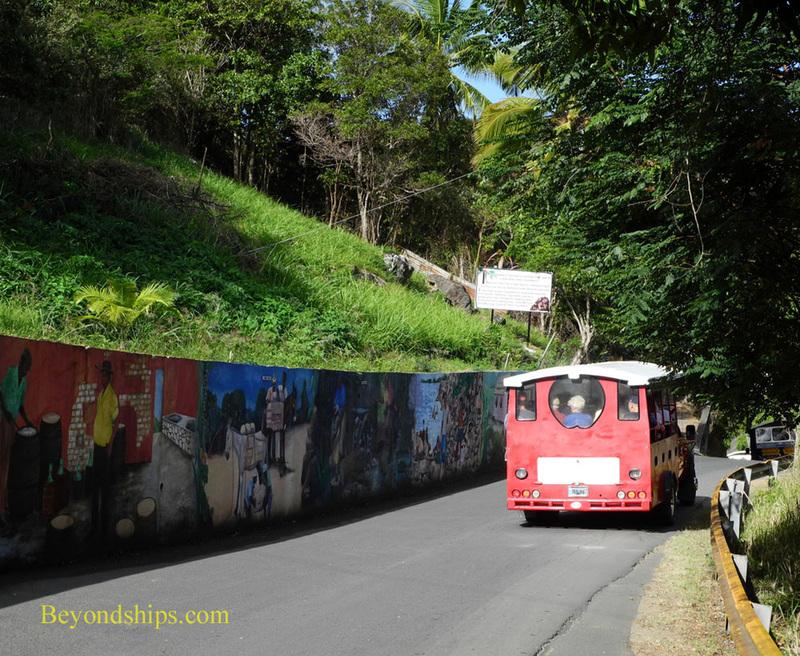 In 2001, Reuben Vanterpool and a group of other artists transformed the blank concrete wall into a series of mural depicting scenes from Tortola's past. These are not of monumental events but rather scenes of everyday life. 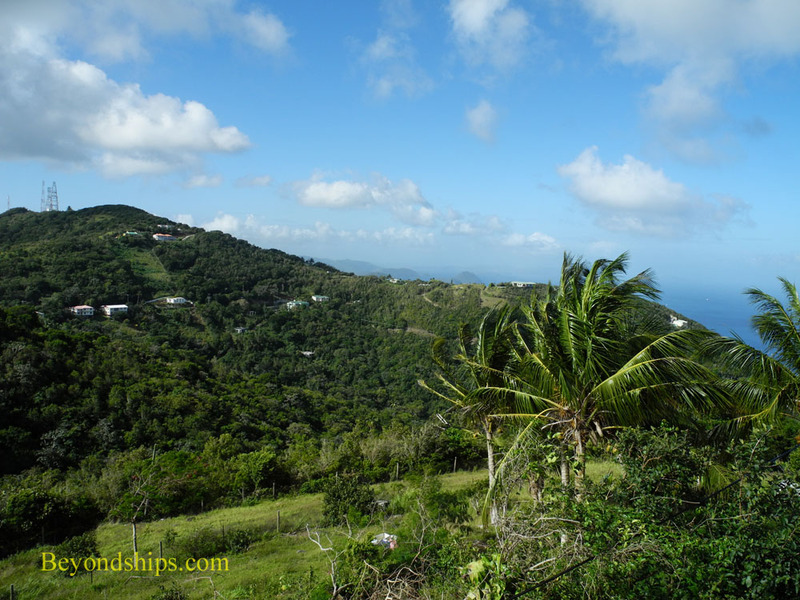 They are called the Fahie Hill Murals. 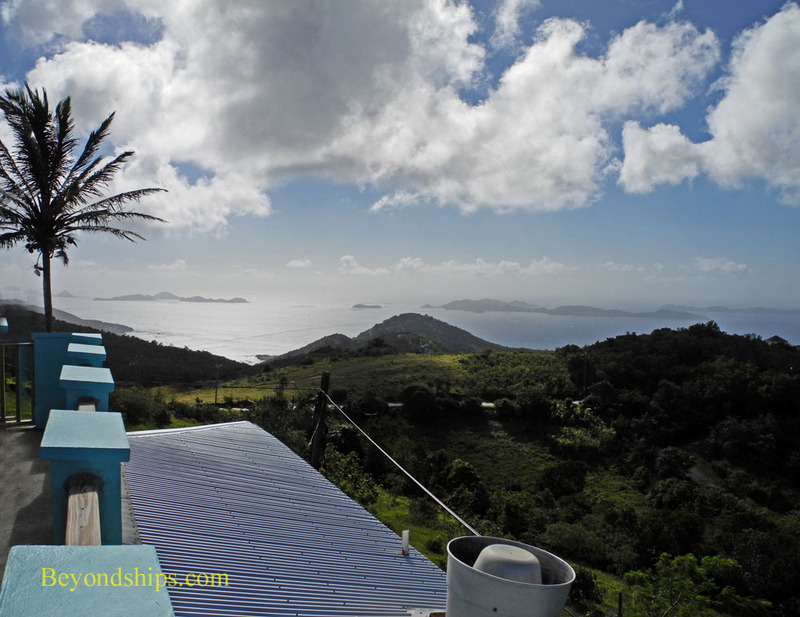 A frequent stop on panoramic tours of the island is the Skyworld Restaurant, which is off of Ridge Road. 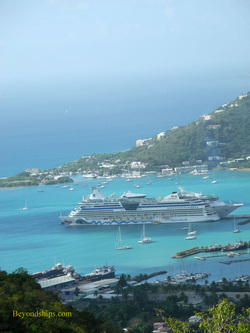 Visitors can climb up to the viewing platform atop the restaurant and get a good view in several directions. Next to Skyworld's parking lot is the Briercliffe-Davis observatory.